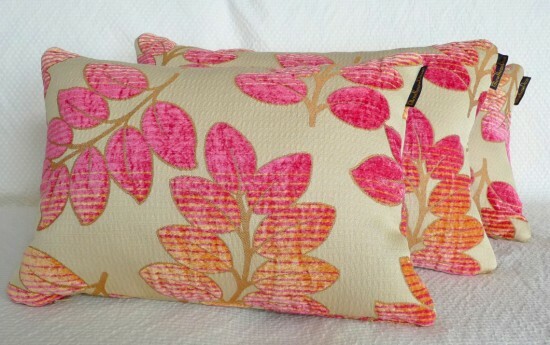 Floral decorative pillows are such a treat to create after sewing dark, leathery fabric. I needed a change from a series of animal prints that I am working on for my fall / winter line. It’s amazing how dark fabrics, rolled out on my 10′ cutting table, can dull the light remarkably. As soon as it is all rolled up and off the table, the light and mood changes. My point of mention here, is that light or bright colored, decorative floral pillows like these or even a throw can change the color and atmosphere of a room quickly and inexpensively. So if you are decorating for the season, need a quick pick-me-up or ‘just because’, you can purchase these pillows at my Pillowthrowdecor.etsy store. By the way, this is “for the trade” fabric from J Ennis and retails at $106 per yard and is just gorgeous! That makes $29 for each of these a very good buy. Only 3 left. 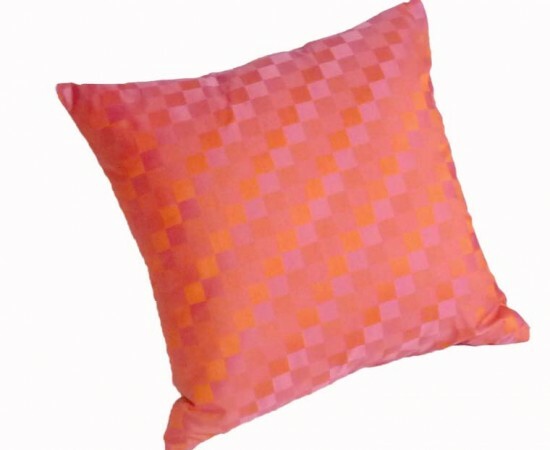 They co-ordinate beautifully with these checked orange and pink accent pillows with fabric from TriTex another Vancouver showroom. What do you do when you need a quick ‘pick-me-up’ in your decor? These pillows are beautiful! My wedding colors were pink and orange, ahhh, bringing back such great memories! Oh I am so pleased to hear that! Yes, these floral decorative pillows are amazing. 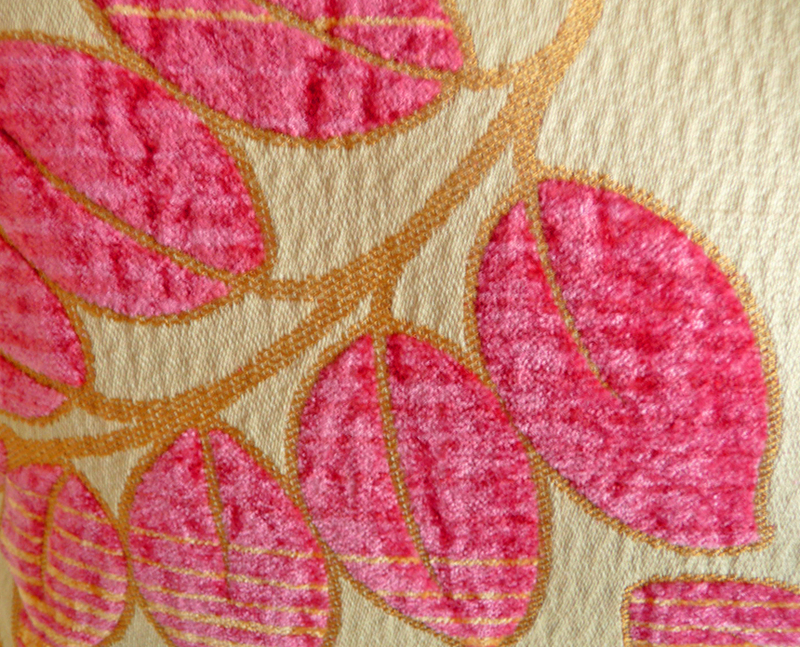 The fabric is fashionable, the color scheme is great and it fully fills my thought about soft smooth touch and feeling. I would like to own such lovely decorative pieces in my flat!